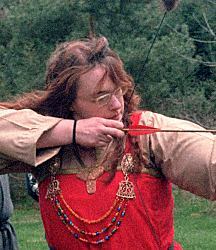 Hurstwic researches, practices, and teaches how Vikings fought and used their weapons. 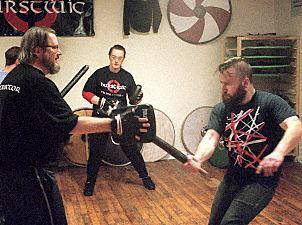 At our training facility, we seek to learn the fighting moves of the Vikings. 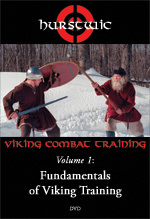 The Hurstwic® Viking Combat Training system is a new approach to researching and teaching historical martial arts. 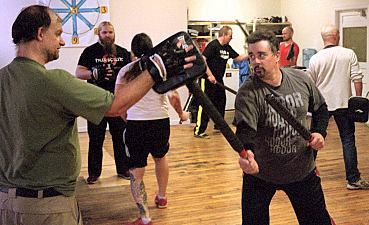 We use a series of drills, exercises, and games to teach martial fundamentals to novices, and then use expanded versions of these exercises to research and build our knowledge of Viking fighting moves. 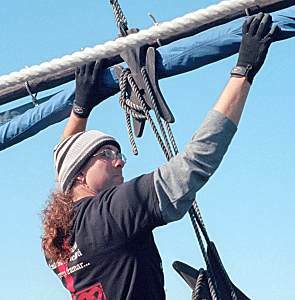 The work is physically vigorous, mentally challenging, and fun. 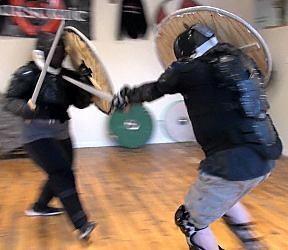 Throughout, our training is firmly connected to the Viking-age fighting moves described in the historical sources, such as the Sagas of Icelanders, and confirmed by other sources, such as forensic evidence from Viking-age skeletal remains. 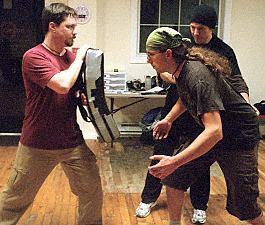 We do not teach stage combat or re-enactment combat, although students of those arts find that using the Hurstwic training system benefits their practice of these arts. 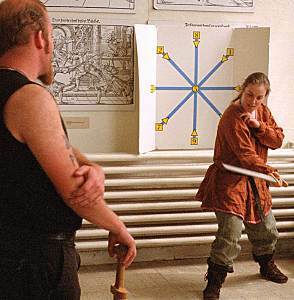 We seek to understand and practice the fighting moves used by Viking-age warriors. 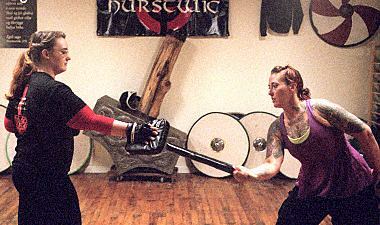 Learn more about Hurstwic's Viking combat research and training methodology in this article. 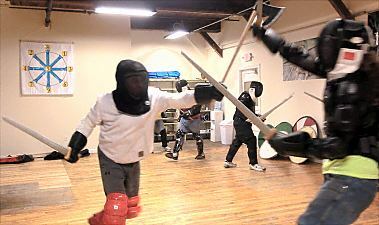 We train regularly three times each week at our Valhalla training facility in Millbury, MA, USA. 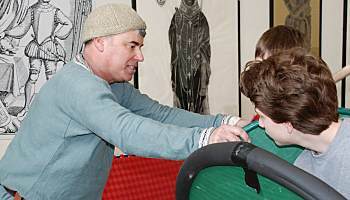 We also hold special training events for Hurstwic participants in other locations from time to time. 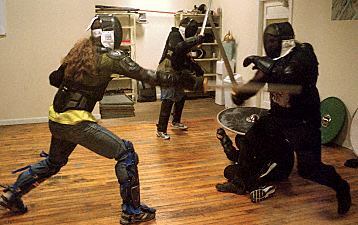 New students are accepted by invitation from the instructor. 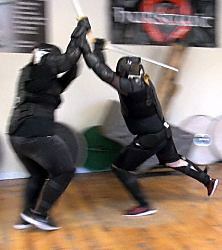 Normally, a new student would be expected to have completed a Hurstwic workshop or other class before joining the regular training sessions, but the instructor will gladly evaluate a student who thinks he or she has a sufficient grasp of the fundamentals to join the practice sessions. Regrettably, we are unable to accommodate drop-in guests or observers. Contact us for more information. 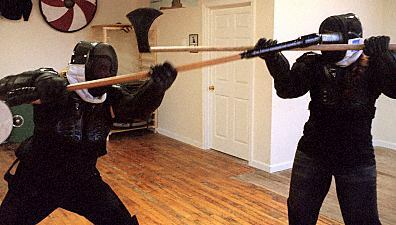 Hurstwic uses training axes from Wechter Arms. 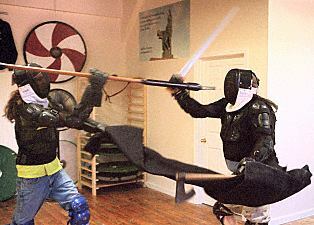 Additionally, we hold training events for the general public from time to time, such as our 2-hour Viking combat introductory workshop. The next session is scheduled for Saturday afternoon, May 18, 2019. 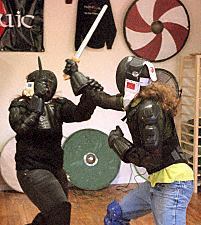 We also offer private training for groups (for example, as a birthday gift for an individual and a circle of friends), and Viking combat team-building sessions for groups, such as from industry or from academia. 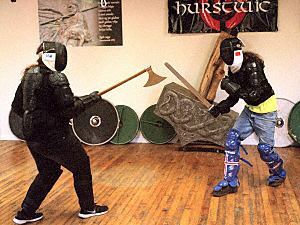 Hurstwic training is limited to those who are 18 years or older. 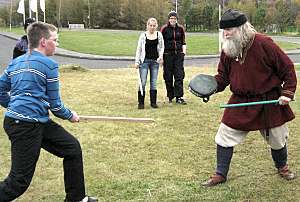 However, from time to time, we offer special training workshops for younger Vikings. The next session is tentatively scheduled for fall, 2019. 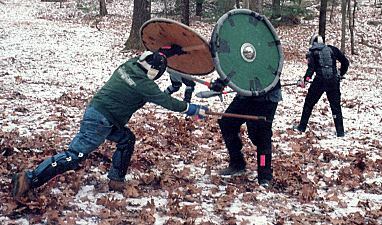 If you are too far from central New England to train with us at our home facility, please consider using the Hurstwic® Viking Combat Training system with your own club or school by becoming an affiliate of Hurstwic. If you have no club or school, please consider starting one, using the Hurstwic system as the basis for your training. 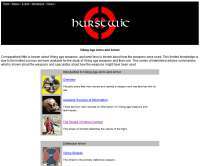 More information is on the Hurstwic affiliate page. Alternatively, we can bring a training workshop to your site, as we have done for groups in North America and in Iceland in recent years. 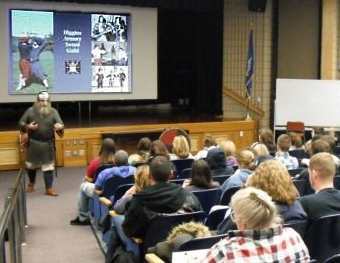 In addition, we can bring a presentation, lecture, or demonstration on a wide range of Viking-age topics to your site. We have presented at universities, libraries, museums, and other cultural institutions in North America, and in Iceland. To learn more about how Hurstwic came to be, read our story: the Saga of Hurstwic. 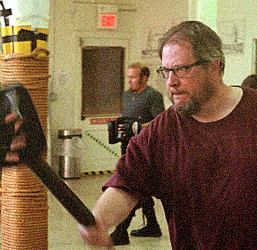 William R. Short and Reynir A. In addition, Hurstwic has an international group of special advisors who help and guide our research. 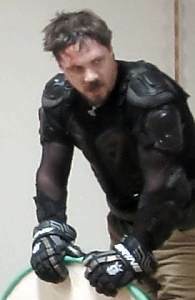 We have created a series of videos demonstrating Viking combat based on fighting moves described in the Sagas of Icelanders. 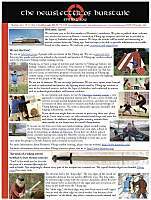 Hurstwic has created a number of articles on Viking-age topics, including a series of articles on Viking-age arms and armor and their use. 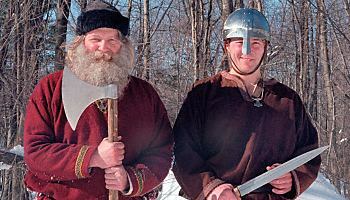 Recently, Hurstwic studied the effects of Viking-age weapons on flesh and bone and documented their findings in the Viking Weapons Test Cuts video. 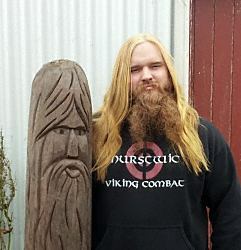 From time to time, Hurstwic also offers training in other Viking-related fields, including Viking handcrafts, and Old Norse, the language of the Vikings and closely related to the language of the sagas. The photo shows students at Hurstwic's Old Norse Boot Camp, an intensive weekend-long immersion in to the language. Hurstwic's Old Norse Reading Group meets regularly to read, translate, and discuss the sagas. 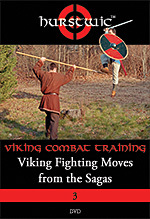 Viking Fighting Moves from the Sagas. 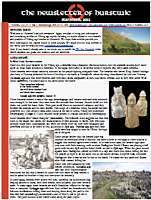 We are publishing an irregular newsletter with short, informative articles on Viking-age topics. 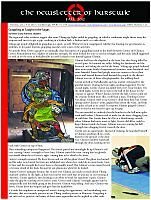 We hope these newsletters will be interesting and useful for anyone with an interest in the Viking age. They are available as a free pdf download. 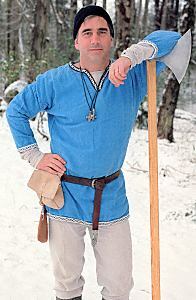 Dr. William R. Short has also written several books on Viking topics. 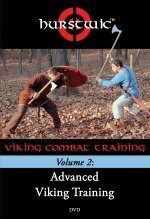 Viking Weapons and Combat Techniques is a history of the arms, armor, and individual fighting strategies of medieval Europe's most feared warriors. Published by Westholme Publishing in 2009, the book is once again available from your favorite bookseller in paperback. But please be aware that in the years since the book was written, our research has advanced. 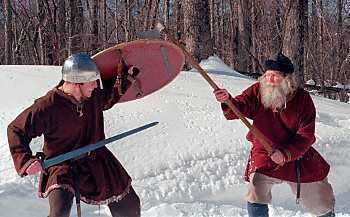 Some of the ideas in the book no longer represent our current thinking about how Vikings fought and used their weapons. Icelanders in the Viking Age is a companion to the Sagas of Icelanders and is an introduction to the people of the sagas. The book was published by McFarland & Company in 2010 and is available from Amazon or your favorite bookseller.